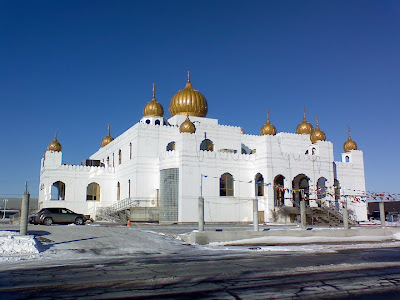 I had heard that the Sikhs in Montreal had built a much bigger Sikh Temple in La Salle, Quebec. Since, I was in the area, I decided to check it out. It's much bigger than the previous one in Lachine, and it's also beautiful. A Sikh temple is called a Gurdwara.